By July 2015, FBI Director Jim Comey knew he was losing the battle against sophisticated technologies that allowed criminals to communicate without fear of government surveillance. In back-to-back congressional hearings that month, Comey struggled to make the case that terrorists and crooks were routinely using such encryption systems to evade the authorities. He conceded that he had no real answer to the problem and agreed that all suggested remedies had major drawbacks. Pressed for specifics, he couldn’t even say how often bureau investigations had been stymied by what he called the “going dark” problem. “We’re going to try and do that for you, but I’m not optimistic we’re going to be able to get you a great data set,” he told lawmakers. The tactical shift has won Comey tangible gains. After more than a year of congressional inaction, two prominent lawmakers, Sen. Mark Warner (D-Va.) and House Homeland Security Chairman Michael McCaul (R-Texas), have proposed a federal commission that could lead to encryption legislation. Several key lawmakers, who previously hadn’t chosen sides over encryption, such as Rep. Jim Langevin (D-RI), are siding with the administration in its legal battle with Apple. Likewise, several former national security officials — such as former National Security Agency chief Gen. Michael Hayden and former Director of National Intelligence Mike McConnell — who lined up with privacy advocates in the past have returned to the government side in this case. The catalyst for change has been a high-stakes legal fight in a central California courtroom where Apple seeks to overturn a judge’s order to write new software to help the FBI circumvent an iPhone passcode. Other technology companies such as Microsoft, Google, Facebook and Twitter this week rallied to Apple’s side. The Justice Department, meanwhile, has drawn supporting legal briefs from law enforcement associations as well as families of the San Bernardino victims. Comey’s evolution may have been foreshadowed last summer. In an August email, Robert Litt, the intelligence community’s top lawyer, wrote colleagues that the mood on Capitol Hill “could turn in the event of a terrorist attack or criminal event where strong encryption can be shown to have hindered law enforcement,” according to The Washington Post. The Dec. 2 San Bernardino attack, coming less than three weeks after a coordinated series of Islamic State shootings and bombing killed at least 130 people in Paris, reignited law enforcement concern about terrorists’ ability to shield their plotting via encryption. The San Bernardino killers, Syed Farook and his wife Tashfeen Malik, destroyed two cellphones before dying in a gun battle with police. Investigators discovered the iPhone at issue in the courtroom fight inside the Farook family’s black Lexus sedan. To be sure, Comey’s new strategy thus far has paid only limited dividends. The Warner-McCaul commission, if it is ever formed, may or may not change U.S. encryption policy. Renewed support from former officials, such as Hayden and McConnell, extends only to the San Bernardino case. Indeed, the FBI director’s hopes for an enduring solution to “the going dark” problem remain aspirational. The White House last fall abandoned plans to seek legislation mandating a technological fix for authorities’ encryption headaches. And since then, the Obama administration has confined itself to jawboning Silicon Valley. But in choosing to make a fight over the iPhone used by one of the San Bernardino terrorists, Comey has selected an advantageous battlefield. Many encryption supporters say that the San Bernardino case isn’t really about encryption because the FBI is asking Apple to build custom software that bypasses the phone’s passcode, a separate though related security feature. That distinction, however, may be lost on the public and many members of Congress. Some have even speculated the FBI is using the San Bernardino massacre to revive an encryption debate that it appeared to have lost. The fight with Apple not only carries the emotional heft of terrorism, but — thanks to the distinction between encryption backdoors and passcode subversion — has drawn many of Comey’s most vocal critics from the national security community back into the fold. Hayden, the former NSA head, and McConnell, the nation’s ex-intelligence czar, opposed Congress mandating the creation of technological “back doors” for the government to exploit. Yet, on the Apple case, they side with Comey. 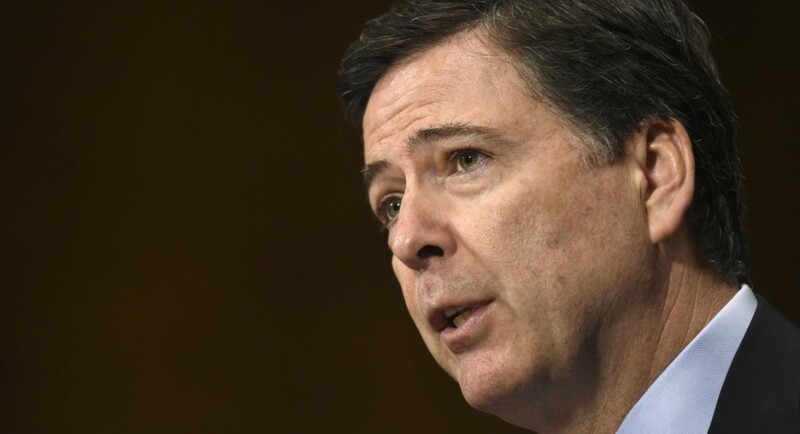 The San Bernardino case could be a win-win for Comey. If Apple prevails in court, Congress might respond by intervening with legislation. Both the FBI and Apple have said Congress is better equipped to manage the issue than courts. The legal battles also may discourage companies from building strong encryption given the risk of future legal showdowns, said German, who is now a fellow with the Brennan Center for Justice.